Many of you may remember the excitement we experienced 8 months ago when our youngest daughter Natalia started the first-ever Christian Club in her middle school. All year they averaged almost 30 students in weekly attendance, and it was awesome watching the influence they had in the school and beyond. 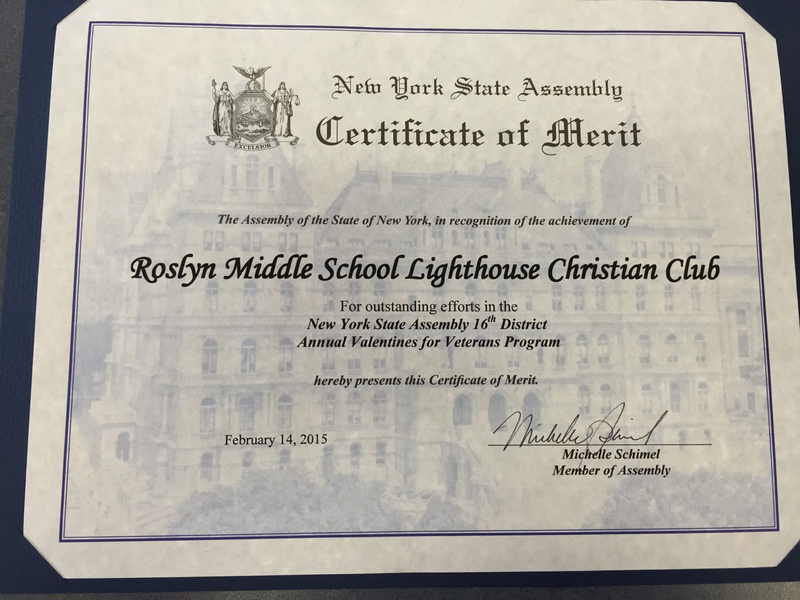 A few weeks ago, they received a Certificate of Merit from the New York State Assembly for their project of sending Valentines to Veterans which is going to be framed and displayed in the school! 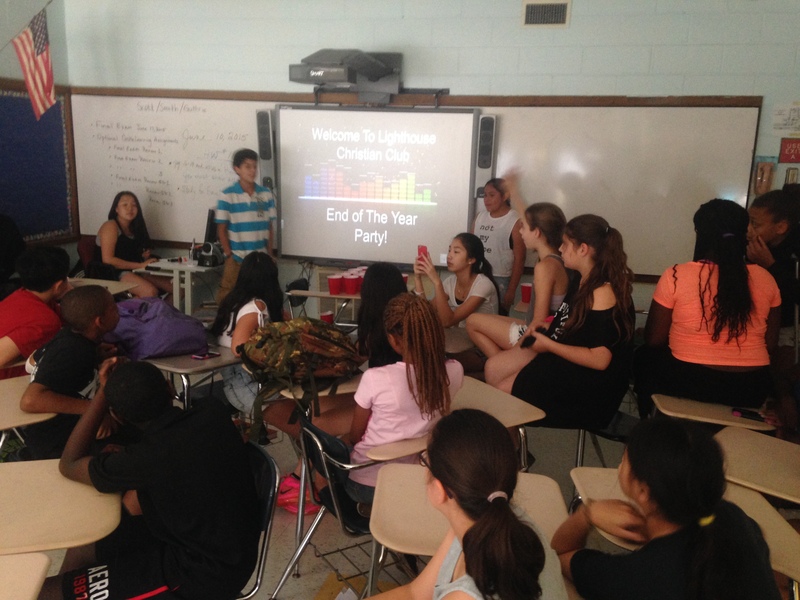 After an amazing school year, yesterday we attended the final club meeting of the year. We have been so proud of our girl for all of her hard work and leadership. She assembled a great team of her peers and led them as together they led the club all year. 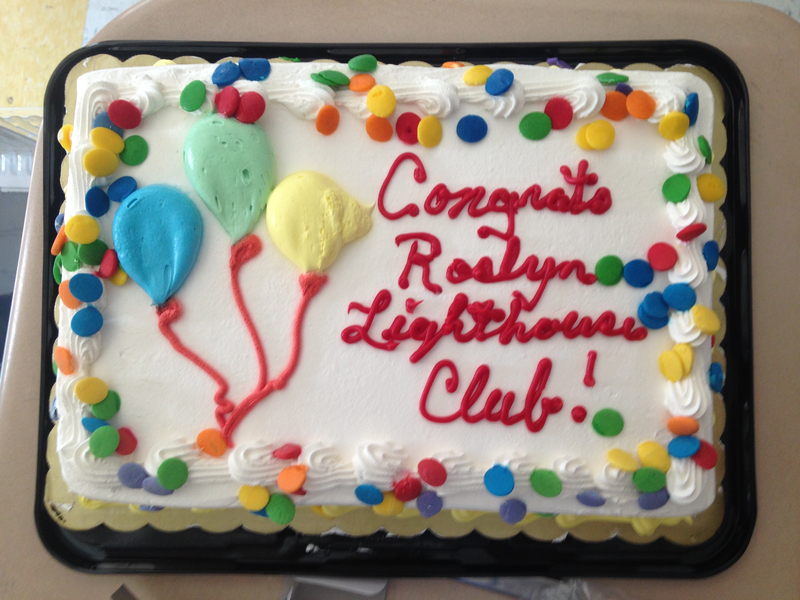 Perhaps the most impressive part of her leadership is that right from the start she recognized that as an 8th grader this was her final year in the middle school, but she wanted the club to continue long after she was gone, so she was looking for future leaders from day one. About 3 months ago, she and her team really started praying, watching, and talking with the younger students who had been faithful and active in the club, and who had a desire to be lights in their school. Two months ago she approached two 6th graders and asked them about the possibility of them leading next year. After they accepted, she began training them, giving them opportunities to lead, and giving them leadership feedback. Yesterday, as we celebrated a great inaugural year for the club, Natalia and her team formally handed the baton of leadership to the aforementioned students and prayed over them.